Come On In. Get Under My Table. I love having our friends over, but I especially love it during Christmas. I heard about someone who had every person that came for dinner to sign their table as a kind of “guest book” over the years. I started copying it immediately. What a fun way to remember friends and good times. 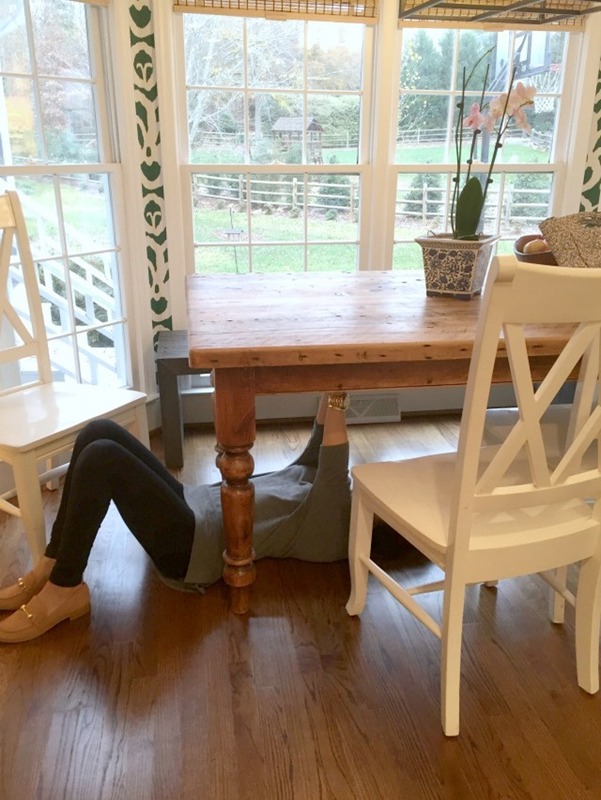 Is it awkward to ask company to get on the floor under the table? Maybe, but I haven’t had anyone refuse me yet. . . I had something like this in college. I let everyone sign (and doodle) the walls in the extra bedroom I had. But this is so much better! Mostly because you can keep it. And also because college kids can be a little crude. Oh my gosh! I LOVE this idea! I have a big farmhouse table in our kitchen as well and I am definitely going to start doing this!!! Thanks for the idea!! Btw, I absolutely LOVE your wallpaper! 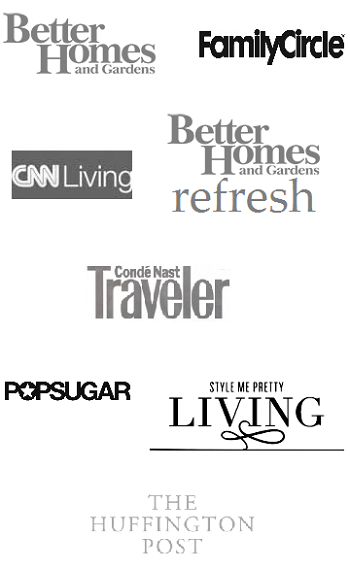 I am looking forward to your kitchen reveal! This is such a fun tradition! When our five kids were younger we would often be invited after church to a family’s home for lunch. 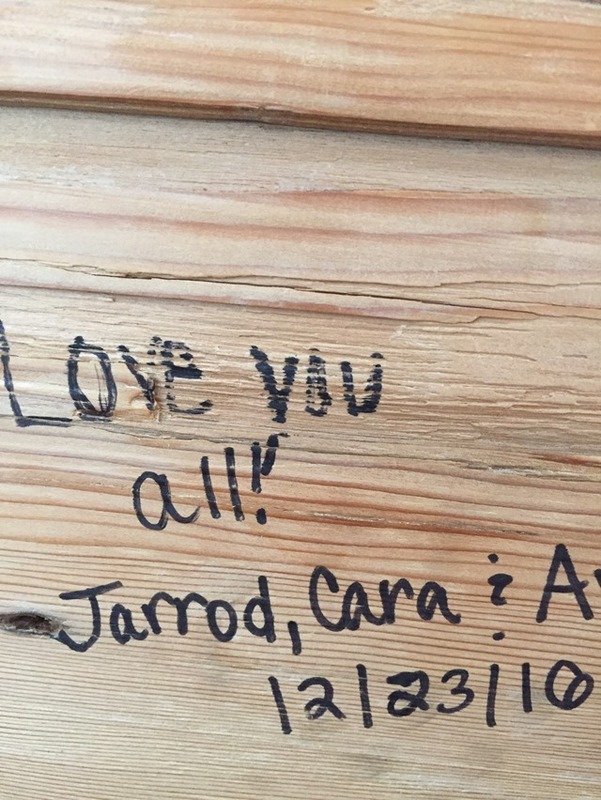 The dad would heat up his wood burner and allow us to autograph the top of a simple pine table that he had made. It was such a highlight for my kids! I like your underneath version too. Your creativity knows no bounds. You are something!! What an awesome idea! I love your mix of wallpaper and farmhouse table. Can’t wait for kitchen reveal! I’m a long time reader but I don’t know if I’ve ever commented before. Anyhow, I don’t know what quite happened but this made me tear up. It’s an amazing idea and I will be replicating it ASAP!! My dad built a loft for my son’s bedroom when he was 8. 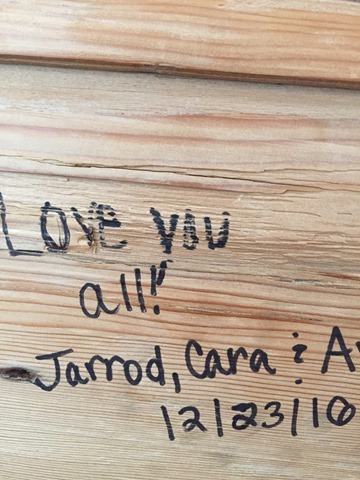 I had my dad sign and date the loft. 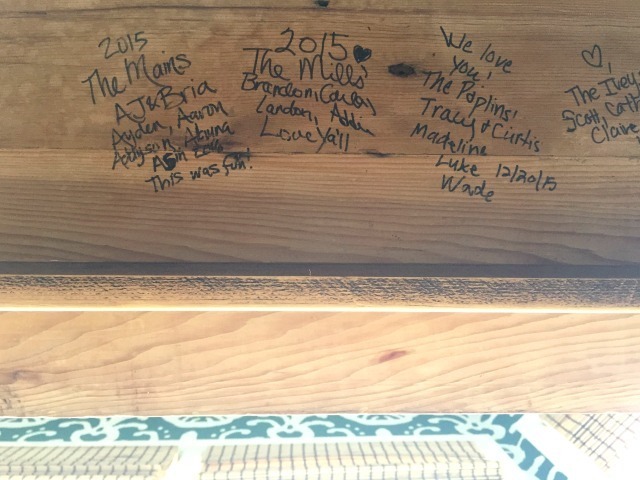 Caldwell (now 13) asks all of his friends who come to visit to sign the bottom of his loft! Fun to look at all of those precious signatures. Your kitchen looks beautiful, when are you going to post the pictures? I am in the process of a kitchen remodel, what kind of kitchen counter did you use? I love the look of white marble but understand it is too difficult to keep looking nice. 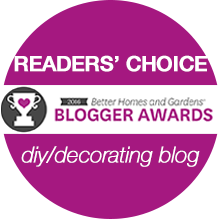 I love your blog and you have a beautiful family. Have a wonderful holiday. This is a super fun idea, we’re going to be moving soon and starting a whole new adventure so I may have to steal this idea! This is wonderful!! 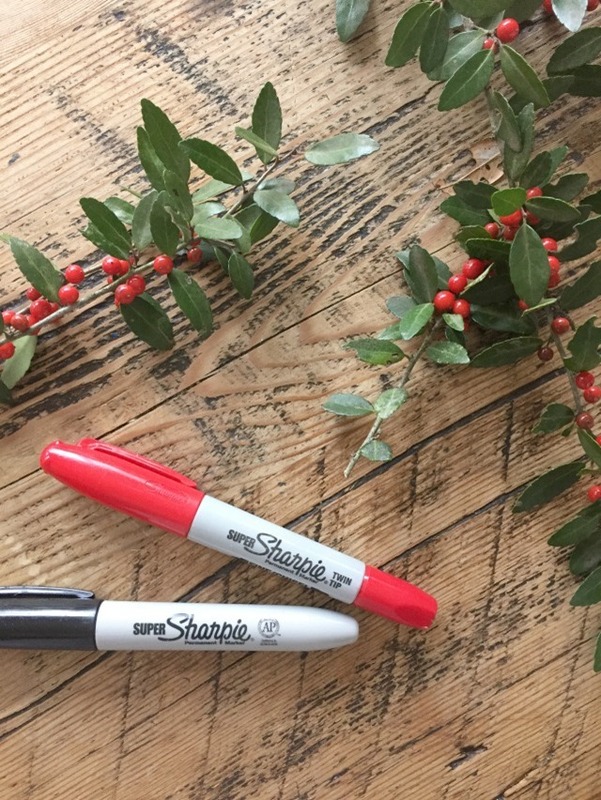 Question: if guests (like your kids’ friends) come over frequently, do they sign the table every time they’re over? Or is it a one and done deal? I think I’ll have to copy this when I have a nice big dinner table! What a great idea! 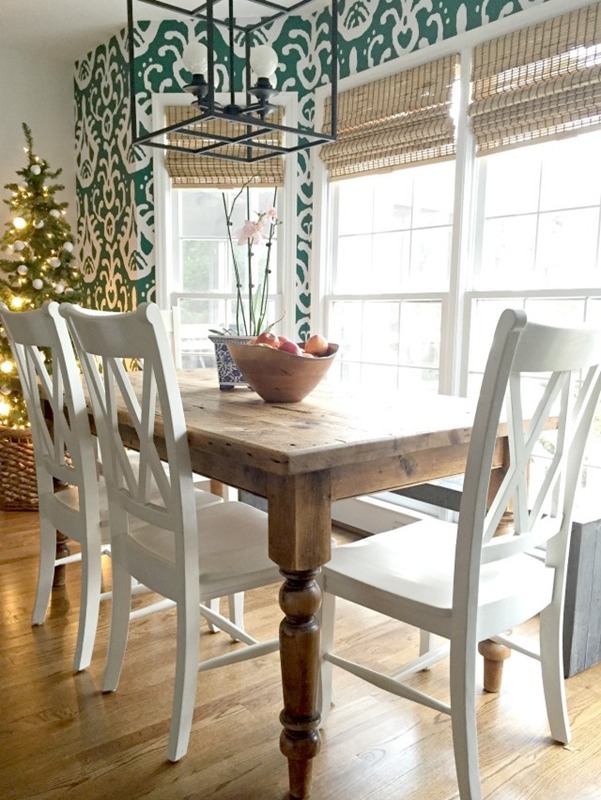 I just bought a farmhouse table from Wayfair and I’m so excited for it to arrive! My kids would love this! I’ve had my farm table for a while now, but we’re in a new house in another state. I love this idea and this will now be our new tradition with guests!